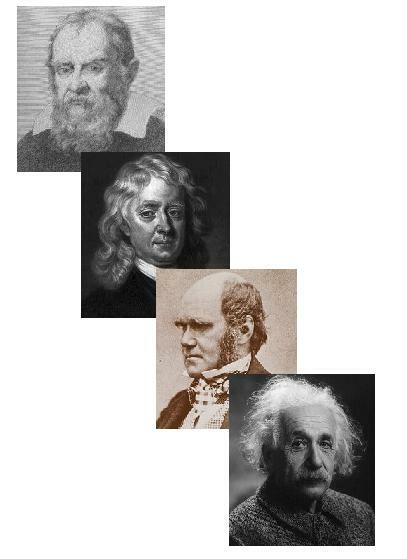 This article covers well-documented quotations from the following twenty-one (21) Scientists (17th - 21st Century): Sir Issac Newton, Galileo Galilei, Nicolaus Copernicus, Sir Francis Bacon, Rene DesCartes, Blaise Pascal, Sir Michael Faraday, James C Maxwell, Lord Kelvin (Sir William Thomson), Sir Robert Boyle, Sir William Harvey, John Ray, Gottfried W. Leibniz, Charles Darwin, Ernst Haeckel, Thomas H. Huxley, Sir Joseph J. Thomson, Louis Pasteur, Werner von Braun, and Francis Collins. Founders of Modern Science include the following Nobel Scientists covered in Part I in this issue: Max Planck, Werner Heisenberg, Erwin Schroedinger, Charles Townes, Arthur Schawlow, Richard Smalley, John Eccles, Alexis Carrel, and Joseph Murry. This article also contains a table showing scientific disciplines established by Bible-believing scientists. It furher includes a table showing notable inventions, discoveries and developments by Bible-believng scientists. This article covers well-documented quotations from the following ten (10) Great Philosophers (17th - 21st Century): Immanuel Kant, Jean-Jacques Rousseau, Voltaire, David Hume, Benedict de Spinoza, Giordano Bruno, George Berkeley, John S. Mill, Ludwig Wittgenstein, and Richard Swinburne. Nobel Philosophers who believe in GOD include the following Nobel Laureates covered in Part II and Part III: Jean-Paul Sartre, Rudolf Eucken, Albert Schweitzer, and Thomas S. Eliot. This article lists other religious Nobel Scientists, Nobel Writers and Nobel Peace Laureates. This article covers well-documented quotations from seventeen (17) Nobelists, philosophers and scientists on Jesus. This article constains recommended books and links. This article constains bibliography to Part I through Part VIII.